We have a coldfusion application running on Railo, we added the cfspreadsheet extension and when reading spreadsheets started generating an error. Like the following. 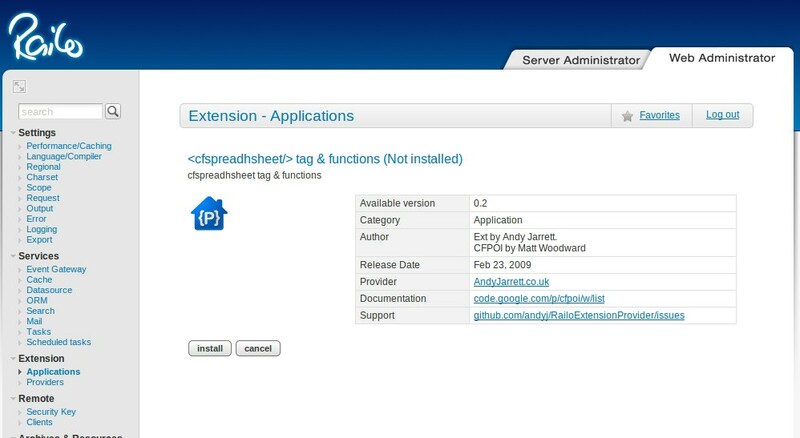 The issue in manipulating the spreadsheet is caused by the loaded dom4j module with the Spreadsheet.cfc file. You can find it in the following path. Suppose, your website is "railo.sudosu.in" and it's document root is /home/railosudo/public_html/. You can find the Spreadsheet.cfc file in the following path. Open the file in your favorite editor and around line number 20 you can find a line like the following in it. What you need to do is just comment the line. When you comment this line, the 'dom4j' module will not load anymore for that website with cfspreadsheet. Once you have made the changes, you need to restart railo to make the changes in effect. Kloxo, by default install PHP 5.2.x. There is no options in Kloxo to upgrade php to higher versions. The steps given below will help you to update the php version to PHP 5.4.x. Copy and paster the following contents into the file (/usr/local/lxlabs/kloxo/file/phpini/htaccesstemp), which is the template of php.ini for php 5.4.x . Copy and paster the following contents into the file (/usr/local/lxlabs/kloxo/file/phpini/php.ini.temp), which is the template of php.ini for php 5.4.x . To update the php.ini file as we configured earlier. 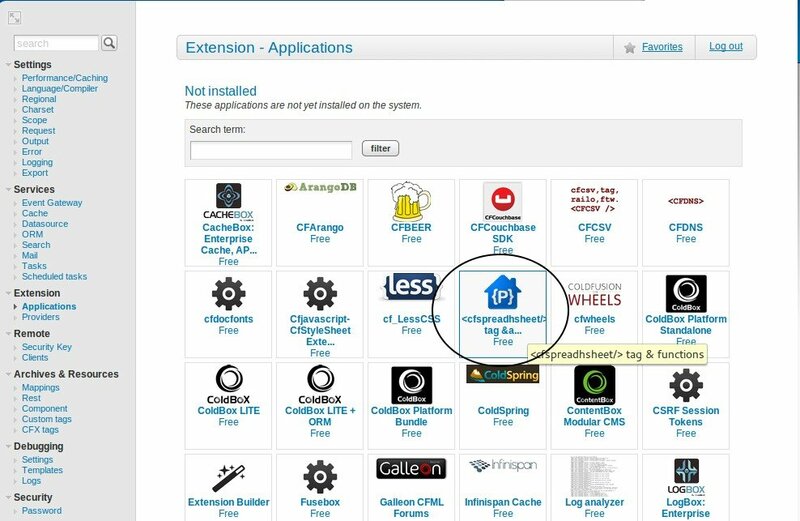 Depending upon the webservice you are running, restart apache or lighttpd. 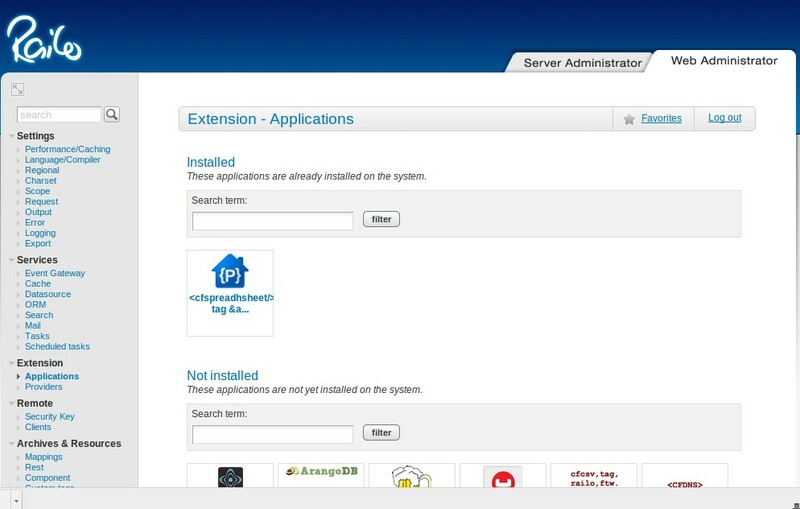 Once everything discussed above is setup, you will get the following result..
Kloxo, by default install MySQL 5.0.92 and PHP 5.2.x version when we setup the server. Since the Kloxo developement is stopped, there is no direct way to update php and mysql versions Anyway I have upgraded one of my Kloxo (LXAdmin) server to MySQL 5.5.36 and PHP 5.4.25 by following the given article. All of my websites are working fine in the server and I noted that the FTP port is listening but can't use the FTP server. I was getting the following error each time when I tried connecting to the FTP server. Usually these all errors can be fixed by just upgrading/downgrading the pure-ftpd or by installng/updating mysql server. But here in this case, it is using lxcentre's rpm package and it's development is stopped. There is no rpm packages to install and solve this problem. But it can be fixed by just downloading the following pure-ftpd binary file and replace it with the existing Kloxo pure-ftpd binary. 220-Local time is now 00:32. Server port: 21. Before installing this certificate, you should make sure the wildcard subdomain (*.domain.com) has been created in the control panel as well. This is required for proper functioning and installation of the SSL certificate. 1) Install the wildcard SSL certificate as you normally do so the DocumentRoot is /home/user/public_html/ and the ServerName is *.domain.com. * NC is nocase of course, unnecessary with a . * match but is inserted for paranoia sake. 3) Clear all of your browser cache and try accessing the subdomains. We can reduce the number of HTTP requests that the server needs to process by leveraging browser caching. This will reduce the time taken for loading the site and hence website performance can be increased. We can achieve this by adding Expires headers to our .htaccess This will also help you improve the performance of your website, based on Google’s and Yahoo’s recommended performance guidelines. Browser caching can help by storing some of these files locally in the user's browser. Their first visit to your site will take the same time to load, however when that user revisits your website, refreshes the page, or even moves to a different page of your site, they already have some of the files they need locally. This means the amount of data the user's browser has to download is less, and fewer requests need to be made to your server. It will decrease the page load times. This artcle is written based on the assumption that You are using Apache webserver with the module mod_expires enabled and you have permission to edit the .htaccess file of youe website. If cached, the document may be fetched from the cache rather than from the source until this time has passed. After that, the cache copy is considered “expired” and invalid, and a new copy must be obtained from the source. You can check your site's performance by using the following online tools. Generate htaccess for "Leverage browser caching"
In oder to generate the htaccess entries for fixing the Leverage browser caching, it is needed to identify what all types of files are containing in your site. You can find these types from the "Leverage browser caching" section in the performace testing result of your website discussed in the above section. You need to also determine how often, you are changing the files in your site(These are the expiry of those contents), the following expiry options are available in this case. The files like favicon are the rarely changing, so you can give a long time for favicon. Here we can use the following entry for the favicon, it is specified that the favicon file expires only after 1 year. The following entry instruct your browser to cache the contetns for 1 year from the day of the first visit. If your website visitor clears the browser cache, it will re-fetch the resources again. If you are updating the images in your sites are frequently, like every week you can set the entry as follows. The following entry instruct your browser to cache the contetns for 1 week from the day of the first visit. If your website visitor clears the browser cache, it will re-fetch the resources again. If is changing every week, you can change it accordingly. The following entry instruct your browser to cache the CSS contetns for 1 month from the day of the first visit. If your website visitor clears the browser cache, it will re-fetch the resources again. If is changing every week, you can change it accordingly. You can combine all of the settings in single. In the following htaccess file, there is different kind of files with different expiry settings. Change the following htaccess file depending upon the contents in your website. ExpiresByType video/mp4  "access plus 1 month"
ExpiresByType application/x-font-woff  "access plus 1 month"
ExpiresByType application/xml  "access plus 0 seconds"
ExpiresByType application/rss+xml   "access plus 1 hour"
ExpiresByType application/atom+xml  "access plus 1 hour"
Once you add these contents in the htaccess file, you can test the performance of your site again in the tools discussed above. You can find that the recommended fixing "Leverage browser caching" is passed. I have a main domain, 'redirect-from.com' with user name 'redirect' in my cpanel and I have craeted a parked domain 'redirect-to.com' in this account. As you know both are loading the same pages here. 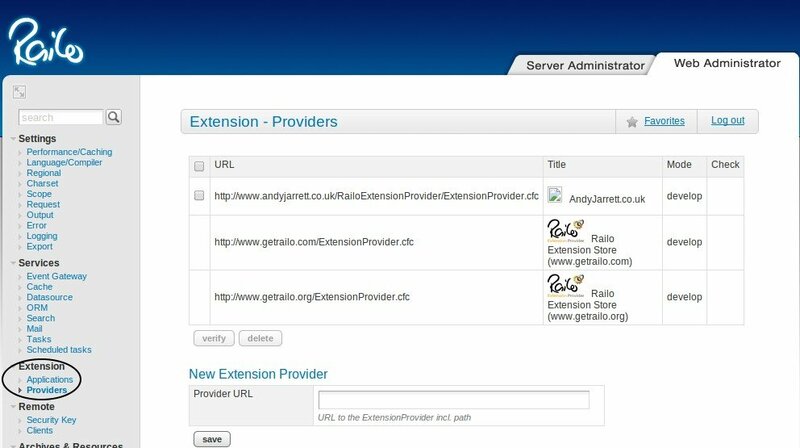 I need to redirect the url, http://redirect-to.com/ to http://redirect-to.com/ , for that I have select the option, 'Redirect' from the cPanel and I have encountered an error like the following when adding the redirect. I have this problem only when creating a redirect via cPanel when creating redirect rule from the main domain to a parked domain in the same account. Redirecting "" to "http://redirect-to.com/" will cause a redirection loop because "http://redirect-from.com/", which is located at "/home/redirect/public_html/", is above "http://redirect-to.com/", which is located at "/home/redirect/public_html/" . I have created a rule in my htaccess as follows to redirect the main domain to it's parked domain.